ZAMBOANGA CITY, Philippines — The military has formed a new anti-terror task group for the Zamboanga Peninsula area. 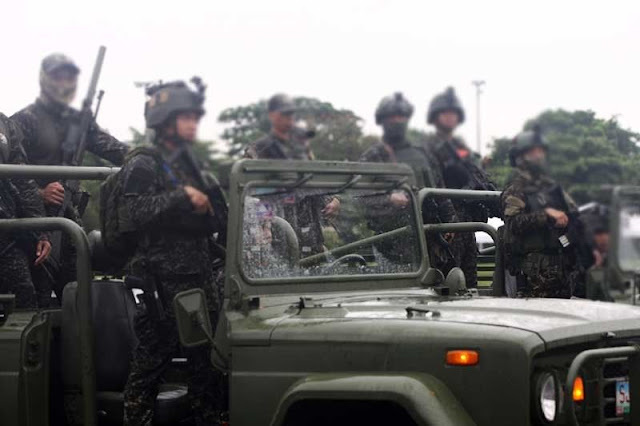 The Philippine Army's 102nd Infantry Brigade has activated the Joint Task Group Sibugay Bay, Capt. Clint Antipala, public affairs chief of 1st Infantry Division, said. The new unit will be headed by Col. Jose Randolf Sino Cruz, deputy brigade commander. The task group will have personnel from the military, police, coast guard and other law enforcement agencies and will coordinate its security operations with local government units in the region. "The JTG Sibugay Bay will definitely boost our efforts in our campaign against terrorism, criminalities and other forms of threats in the province because of our strong collaboration with the LGUs and other law enforcement agencies, with the full support of our local communities in the ambit of the whole-of-nation approach," Brig. Gen. Roberto Ancan, 1st Infantry Division and Joint Task Force Zampelan (Zamboanga Peninsula and Lanao Provinces) commander, said. The provincial government and the League of Municiplaities of Zamboanga Sibugay, 102nd Infantry Brigade, Zamboanga Sibugay Provincial Police Office and the Philippine Coast Guard signed a memoranum of understanding to show their commitment to and support for the new task group. "Do your job, enforce the law and we will also do our part. Anything happens in this province is also our responsibility," Zamboanga Sibugay Gov. Wilter Palma said.